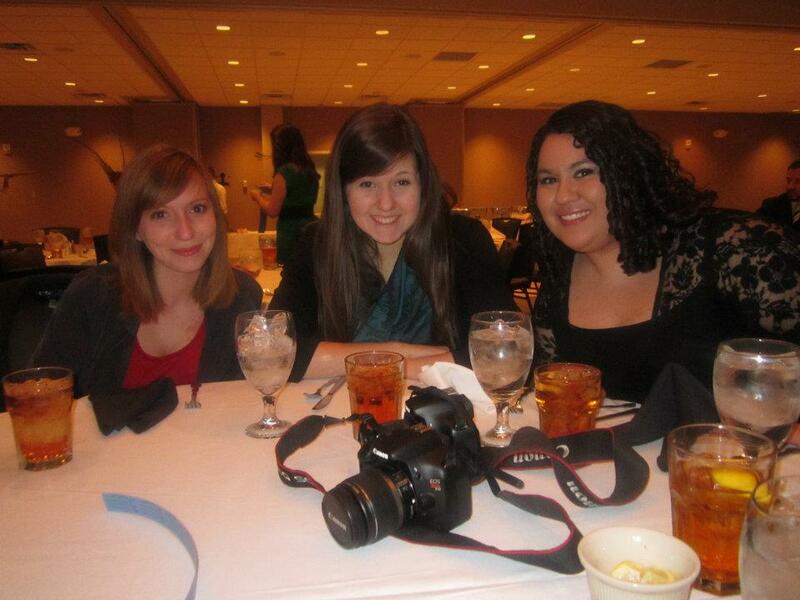 photo by Gracie Ferrel, a few of us at the banquet! Wearing: It’s noon & it’s still below freezing out there, so I may never leave the comfort of this house & my wooly cardigan & socks. But if I do, one thing’s for sure: I’ll be wearing enough layers to look 1,000 pounds bigger than before. Here’s to hoping your Sunday is as sleepy & still as mine, a true Sabbath, a day of absolute rest. I know I needed it, after a weekend of waking with the sun & staying up with the stars. Student conferences can be guaranteed to be filled with early morning meetings & late-night laughs, so sleep is almost entirely out of the question. It paid off, however, (as I’m sure did your well-wishes,) because we left Martin with a record number of awards—including third Best in the South overall for our publication & 2nd in the on-site competition! We came away with 14 Best in the South awards (more than any other school! ), which were the result of a year’s worth of work we submitted in the fall, as well as a number of wins in the on-site event of Friday afternoon. In case you missed yesterday’s post, the conference in question was the Southeast Journalism Conference, where our tiny team competed against such schools as Ole Miss and University of Alabama—both of which we placed above, I’m pretty proud to say. Personally, I came away with a couple of certificates, including 5th for opinion writing, 2nd for copy editing, and 1st for public service journalism! Then, they wrapped up the weekend with the College Journalist of the Year award, & I somehow managed to make 3rd! It was a pretty exciting evening. I’m grateful every year for the chance to stand up with my staff & remember why we work the way that we do, & to recognize them for all that they are—which is a whole lot of amazing. I’m absolutely crazy about my staff. And I know they’ll only continue to carry on the torch next year, after I’m gone. Here’s to first place for 2013!